From the Cotswolds to the Forest of Dean, a county of contrasts and some great walking. Evenlode circular (2½ miles): Pleasant level walking through the village and the watermeadows of the River Evenlode. Foxholes Nature Reserve (4 miles): Farmland walking to an ancient woodland reserve rich in flora and fauna. Westcote and Icomb (6¼ miles): Explore four gorgeous Cotswold villages with superb views over the Evenlode valley. Coln St Aldwyns (1¼ miles): A short stroll round this pretty Cotswold stone village on the River Coln. Quenington and the Coln (4 miles): To a historic village with a medieval gatehouse and Norman church, with a riverside return. Bibury and the Coln valley (6¼ miles): A high-level route to picture-perfect Bibury, returning along the Coln valley. 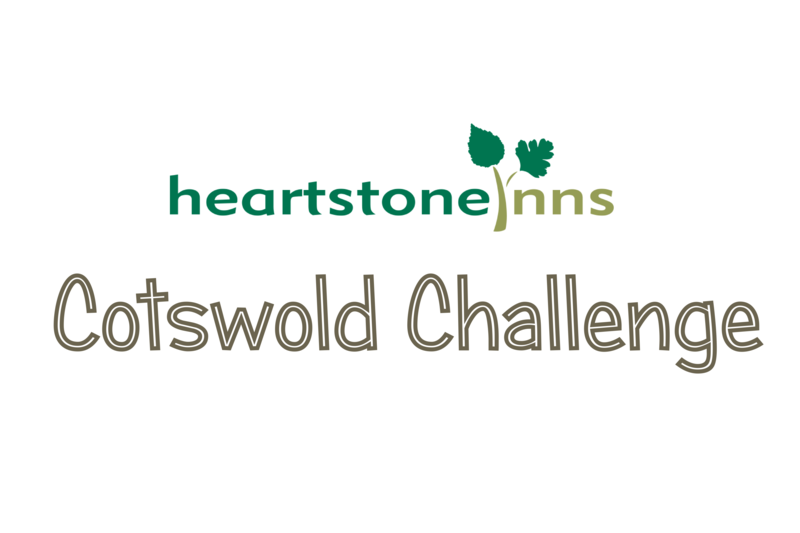 A one-day linear or two-day circular challenge walk between two superb Cotswold inns. Overnight accommodation is available at the Bathurst Arms for two-day walkers. North Cerney village (1 or 1½ miles): Stroll round this lovely Cotswold village, with a visit to its well-preserved medieval church. Bagendon and the Churn Valley (3½ miles): Walk down the valley and then divert to a picture-perfect Cotswold hamlet and church. Bagendon, Woodmancote & Rendcomb (7½ miles): Explore four contrasting Cotswold villages in and around the glorious Churn valley. Far End (1 mile): A stroll to a National Nature Reserve with rare flora and a fine view over the village. Saltridge Wood (2¼ miles): A walk through Cotswold beechwoods with great views to Painswick and Sheepscombe. Cranham (4 miles): A woodland walk to a neighbouring village with a flower-rich common. Foston’s Ash & Cranham (6 miles): Climb a wooded valley, returning via the village of Cranham and more beechwoods. Painswick (7 miles): A walk to the classic Cotswold-stone town of Painswick. Cotswold Way (13 miles): Two Cotswold valleys and an extended sample of the Cotswold Way long-distance footpath. Please note: parking at Hammonds Farm is strictly for guests only. Non-residents please start these walks elsewhere. To Stroud (1 mile): A short, one-way stroll down into Stroud for sightseeing, shopping or to visit the Farmer’s Market. Return the same way, or by car or taxi. Pitchcombe & White’s Hill (2½ miles): A circular walk on either side of the Painswick Valley, visiting the villages of Pitchcombe and White’s Hill. Slad & the Woolpack (5 miles): A walk over the ridge to and along the Slad valley, with its fine pub and Cider With Rosie associations. Wickridge & Painswick (5¾ miles): A climb to Wickridge for views of Stroud, followed by a level section and then descent with further fine views to Painswick. After climbing to the town, the return is along the stream and then on a mostly level path along the valley. The walk can be extended to Painswick House and gardens. Sheepscombe & Painswick (8½ miles): An extension of the above walk visiting the well-regarded Butchers Arms in the pretty village of Sheepscombe. Cotswold Way (9¼ miles): After a level stroll above the Painswick Valley, this route drops to cross the stream then climbs to the popular Edgemoor Arms. It then joins the Cotswold Way for an extended promenade along the wooded escarpment, including a visit to the fine viewpoint of Haresfield Beacon. The Barringtons (2½ miles): Two superb Cotswold stone villages on either side of the River Windrush. Sherborne Park (2½ miles): A well-marked family walk around parkland on National Trust property. Westwell (4¼ miles): Cross open farmland to a quiet village with a pond, just over the border in Oxfordshire. Windrush valley (6¼ miles): Explore rolling Cotswold country, with three idyllic villages and a grand estate.